We strive to produce the world’s most advanced aviation technology. That has been our promise since Robert Hartzell made our first propeller for Orville Wright in 1917. Nearly a century later, we are honored to have countless aviators put their faith in that promise every day. Our commitment to excellence led us into every corner of aviation, from the Red Bull Air Race to the U.S. Armed Forces and from India to the Arctic. As engineering experts, aircraft enthusiasts and pilots, we get to live our dreams every day. Some people might say we’re a little bit obsessed, but aviation is in our DNA. The story of Hartzell Propeller is fundamentally tied to the story flight. Today, we begin to tell that story in our own words. The entire Hartzell team is proud to announce Leading Edge, an annual magazine featuring some of the best stories in aviation. The inaugural issue of Leading Edge spans the globe from Canada to Budapest and Afghanistan to the American backcountry. We sat down with world-class pilots and weekend warriors, put your questions to our team of elite aircraft engineers and looked inside a revolution in manufacturing technology. After nearly a century in the industry, these are the stories that get us excited. We think you’ll enjoy them too. 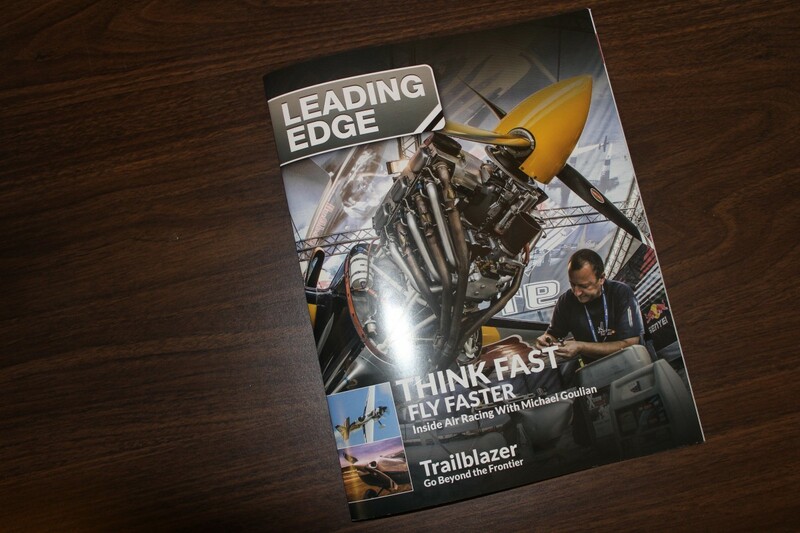 Visit our team at an upcoming event to get your copy of the limited edition first issue of Leading Edge. If you can’t make it to an event this year, don’t worry. You can find all of the stories here. We will continue to add to the web versions content to the web version, so follow Hartzell on Facebook or Twitter to ensure you don’t miss any of the action.